Gold prices fell on Friday, retreating from more than two-month highs hit in the previous session, as global equity markets recovered some poise from dramatic losses. “The markets have kind of stabilized and things have calmed down a bit and the sort of momentum for gold to push higher is not with us at the moment,” said Macquarie commodity strategist Matthew Turner. Despite gold’s sharpest one-day percentage gain since June 2016 on Thursday, the precious metal is still down about 11 percent from a peak in April as investors bought dollars as the U.S.-China trade war unfolded against a backdrop of rising U.S. interest rates. “We could see some bounce like this as the futures market is extremely short. But, ultimately prices are going to drift down as the U.S. Federal Reserve is still tightening and rates are going up, while the dollar is still firm. 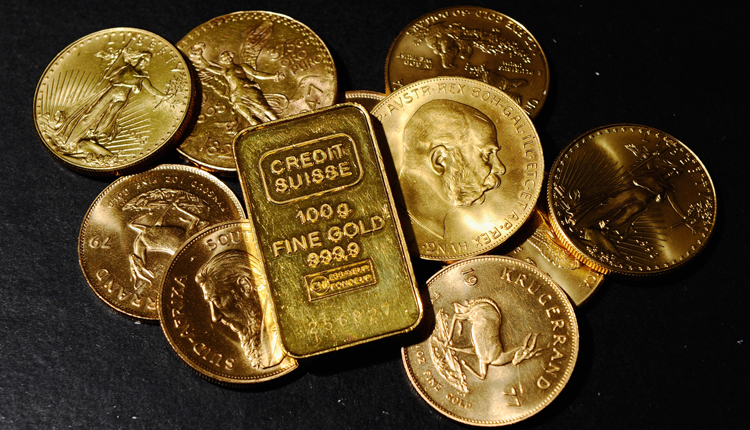 The fundamentals for gold are still weak,” Turner said. Thursday’s surge helped bullion break above a narrow trading range it has been stuck in for the past 1-1/2 months. “We need to wait to see how the stock markets are performing later in the day,” said MKS head of trading Afshin Nabavi. “Gold is trading fairly close to the 100-day moving average at $1,228. There should be plenty of resistance but a close above that level could signal a move higher,” MKS PAMP Group traders said in a note.